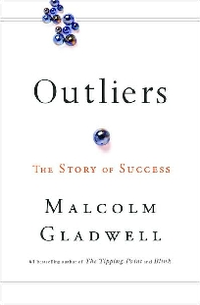 I finished reading Outliers by Malcolm Gladwell a couple of days back and lots of thoughts have been churning in my head. Putting them down as a letter to myself - a letter I would write to the 20 year old Venkat whose career is just beginning ( also applicable to anyone who is in college right now ). How are you doing? How is your new college? Here are some tips for you. This is not from Outliers - but my personal advice. I never ate breakfast in college - slept late, woke up late and would miss breakfast. Just by eating your breakfast daily you will get a better grade. Trust me.